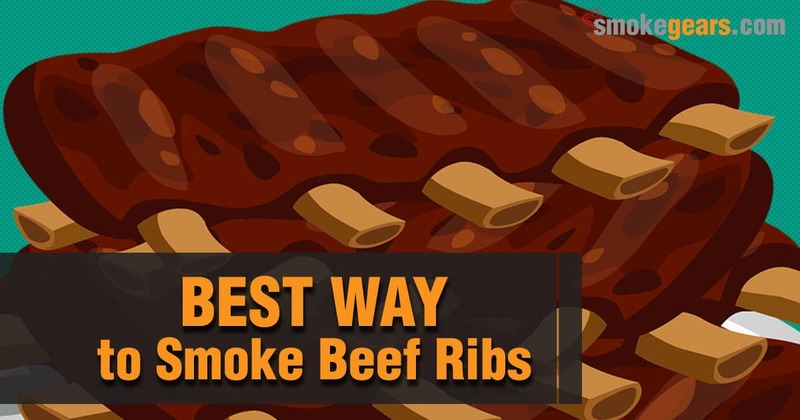 If you do not know how to prepare the beef ribs and you are looking for some tips to make the process safe and effective, you can go through the following. In this article, you will come to know how to prepare the beef ribs in an easier way. You will have to start the process by preparing the smoke. You need to prepare a fire that will be able to hold the temperature of 225 to 250 degrees F. You will have to maintain this temperature range until the end. You need to prepare the fire accordingly. For perfectly maintaining the temperature, you will need the best smoker thermometer. If you're looking to wrap the cooking material to retain the flavor, you can do it five to six hours before the smoking time. You will need a good smoke in the initial hours. Therefore, make sure that you have enough wood chunks for this purpose. Observe the meat carefully before the preparation. If there are large pieces, you can cut them into small. You can also remove all the hanging small pieces. You can trim your meat into nice pieces. While doing so, you do not need to cut the fat that will help in moist and will also add the sweetness. Remove membrane from the meat. You must know the fact that the membrane can destroy the original flavor. In fact, if you do not remove them, the membrane will make your rib hard. You will not be able to penetrate your rib even with the sharpest teeth. Therefore, it's very much important to remove membrane to make the meat tender and to retain the sweetness and flavor. It is not easy to remove membrane. The process will be a little time-consuming. But you will have to do it if you want the best quality ribs. If you wish to add some flavor in your meat, you can simply apply the BBQ rub. It comes as a mixture of the spices and it will sit well on the ribs. While preparing the meat, the BBQ rub will sink in and will add some flavor to your meat. Different types of the BBQ rubs are available in the current market. You can choose any of them depending on your preference. You can pick something savory, spicy, or sugary. After removing the membrane, you can apply the rub on the meat. A good coating on your meat will be enough. You do not need to literally rub it on the meat. If you are doing it for the first time, you might find it tough and time-consuming. Once you will be familiar with the process, you will be able to prepare the better quality of the beef ribs. You need to know how to put the rack on the smoker as well. You will have to put the racks in such a way that it will allow the air and smoke to pass between the racks. Make sure that you are maintaining the proper temperature. If it is hot one side, then you might need to rotate the rib to get the right level of the temperature. Follow it carefully during cooking time if you want the best preparation. Remember that it will take around six hours. The temperature level will be of 225 and 250 to prepare the meat properly. You should check the tenderness of the meat to know it is fully prepared or not. If it is properly cooked, then it will be something like fork tender. You can add the barbecue sauce on beef ribs to make it tasty. Add the sauce any time during the cooking. You too could apply a thick coat of any of your preferred sauce. You are done. Now go ahead and serve your near and dear ones. Stay prepared. Compliments are coming! Extra tips, Smoking mistakes can destroy your enjoyable moments. So, be careful when you are going to grill for your dear ones. And be sure you have all essential kitchen tools in your hand.